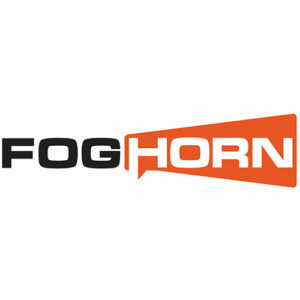 Today FogHorn is a known leader in “edge intelligence” for industrial and commercial IoT. The company’s “intelligent edge” software platform enables unprecedented levels of automation, operational efficiency, and cost savings working with customers globally in manufacturing, oil and gas, power and water, smart cities, mining and renewable energy, and more. Their solution brings big data and real-time processing onsite close to control systems and physical sensors for closed loop device optimization. When FogHorn approached 10Fold they had a bold vision to address a major challenge standing in the way of IoT proliferation: the lack of bandwidth. In industrial and commercial IoT environments with hundreds of thousands of sensors sending multiple terabytes of data to the cloud daily, monitoring and analyzing the data in real-time seemed impossible – time-intensive and cost-prohibitive. Foghorn’s proposed solution – to bring computing to the network edge, where their edge intelligence software would sit close to sensors on edge devices – flew in the face of the traditional cloud computing paradigm for the deployment of IoT and big data computing. FogHorn’s solution would process, analyze and respond to IoT data right where it originates—at the edge of the network, in real-time. On top of their disruptive vision, Foghorn was an unknown start-up with unproven technology, no direct competitors, and no customers. We knew we had to uncover industry and media preconceptions and enlist industry analysts in validating FogHorn’s go-to-market strategy – including the problem its solution was addressing. To build widespread attention, we needed to build a social presence and social authority for IIoT Edge Computing as part of our communications strategy. Furthermore, close coordination with FogHorn’s strategic investors would be critical to ensure we leveraged their brands – and our communication must be delivered with precision and offer a strong collaborative message – or these large behemoths would not participate. We began by identifying key differentiation for FogHorn’s solution and approach, which resulted in key messages that underscored FogHorn’s significance. With that messaging, we helped build an analyst deck and conducted early briefings with strategic analysts that would serve as both visibility opportunities for FogHorn and also as strategic advisors for us during the launch. Once we collected initial analyst feedback, we modified our story based on the suggestions, and conducted a full analyst tour. Once all the analyst briefings were complete and we were positioned for upcoming analyst reports, we decided on a phased approach for the media. Phase 1: announce a Series A funding round that would strategically pair important companies like Bosch, Yokogawa and GE Ventures with FogHorn. In this initial phase, our targets were business press that focused on funding rounds and those covering IIoT – and the purpose was to unveil the FogHorn vision. The funding announcement was very successful with 24 articles. In Phase 2, after the media preconditioning with funding news was complete, we rolled out the details of the FogHorn product. Our targets included IIoT, vertical publications, mainstream IT publications and business press. Our purpose was to educate and persuade the media that this newcomer had the product, early customers, and the financial backing to be successful. We pulled off this entire launch of funding and product within 90 days and FogHorn went from unknown to first-to-market position, generating industry award recognition in the process. Within a year, FogHorn secured an impressive Series B round of $30M. FogHorn remains a 10Fold client.